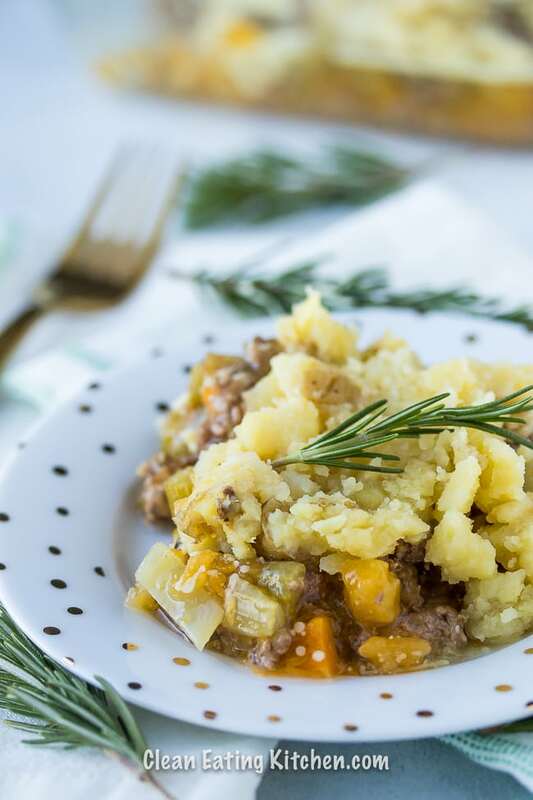 Use the Instant Pot to make this delicious Cottage Pie recipe, then bake it in the oven when you’re ready to serve. This recipe is gluten-free, grain-free, and paleo. Do you know what cottage pie is? I didn’t until I started seeing pictures of it on Facebook. As soon as I realized it was basically a meat and vegetable mixture with mashed potatoes on top, I knew I had to try it for myself! By the way, you might be thinking that a cottage pie sounds a lot like a shepherd’s pie. They’re very similar. According to my research, a shepherd’s pie is made using ground lamb, while a cottage pie is made using ground beef. Both sound great to me! Okay, so you can’t make a cottage pie 100% in the Instant Pot. Trust me, I would if I could! 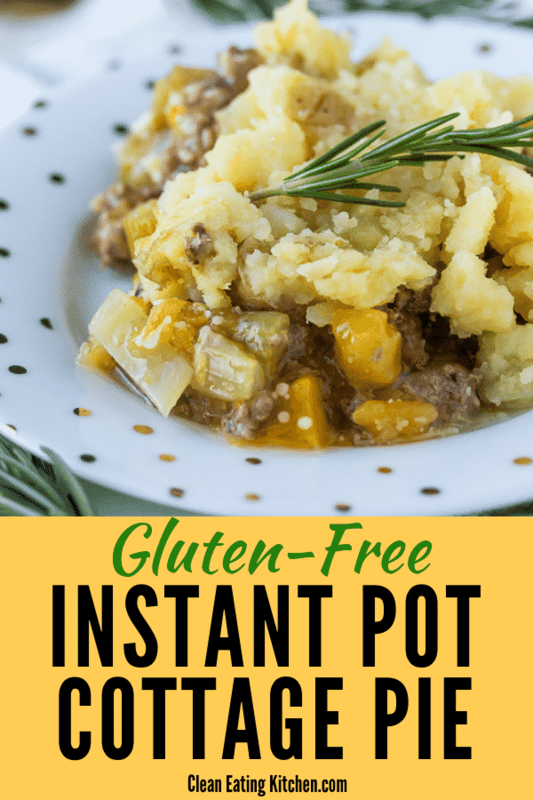 But, I used my trusty Instant Pot to make the beef and vegetable mixture, then the mashed potatoes, and then I baked them together in the oven. The Instant Pot prep makes it so much easier to make this dish, though. I started with the ingredients for the meat and vegetable portion of the cottage pie. I used grass-fed ground beef, butternut squash, and celery. Feel free to add onion and carrots, or whatever you have on hand. 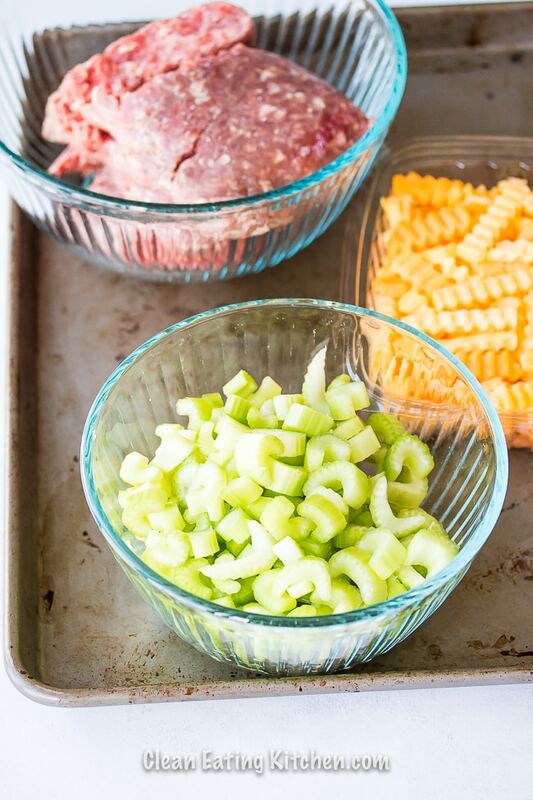 To make a large cottage pie that serves 8-10 people, use two pounds of ground beef. For the mashed potato topping, I used about half of my Instant Pot Mashed Potato recipe. So, you’ll need about one pound of potatoes that are mashed for this recipe. 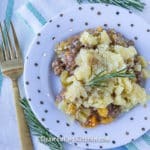 This is such a satisfying, hearty, and healthy dish for cooler evenings. The leftovers are great, too! Plug-in a 6-quart or 8-quart Instant Pot and push the button for sauté. Add the avocado oil or olive oil to the stainless steel insert. Once the oil has heated, add the ground beef and use a wooden spoon to break up the meat in the pot. Cook the meat for about 3-4 minutes, occasionally stirring to prevent it from burning. Turn off the sauté button and push the button for pressure cook. Lock on the lid and set the time to 12 minutes on high pressure. While the meat and vegetables are cooking, preheat your oven to 350 degrees. After the dish has finished cooking, let the pressure come down naturally or use the quick-release. Carefully spoon the mixture into the casserole dish. Spread a layer of mashed potatoes on top. Bake the Cottage Pie for 15-20 minutes in the oven, or until the mashed potatoes are hot. 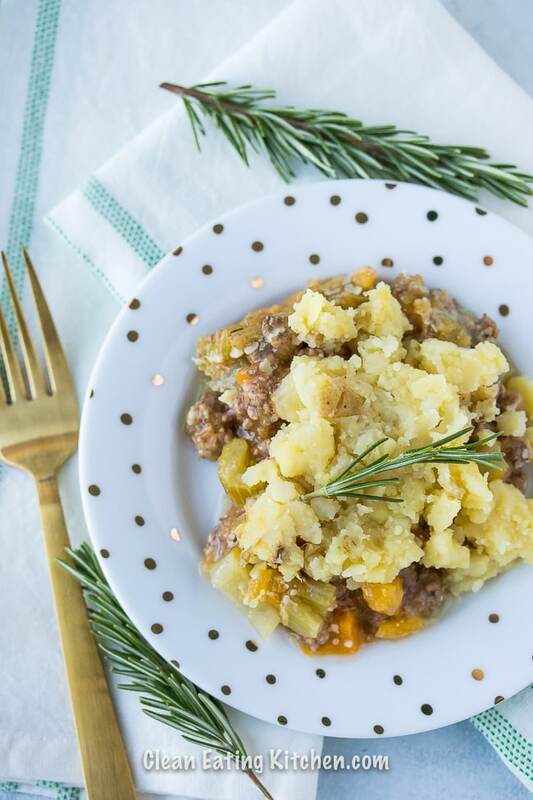 Be sure to pin this Instant Pot Cottage Pie recipe to your favorite Pinterest board! 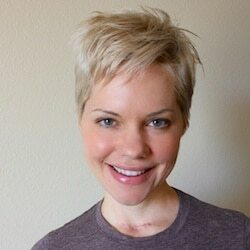 I love all the recipes you share! It inspires me to cook more for my family.